In CrossFit Pegasus, we simply want to give you results and help improve your body and fitness. We want you to be able to come in and focus on your workout without any other distractions. We want to maximize the time you spend in the gym and make it a successful experience that challenges you and gets you to push your body to a level you never knew you could. 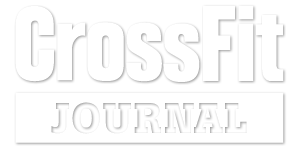 CrossFit is a broad, all-encompassing approach to fitness. A fitness that prepares people for every kind of physical task we face in everyday life and everything else including the challenges of a professional athlete or weekend warrior. CrossFit applies to all walks of life, and betters your body so that you can pursue your passions and enrich your life! The training can be tailored and/or scaled to the individual while maintaining the group class “feel”. Our classes at CrossFit Pegasus are offered in small groups of up to 10 people, under the supervision of our experienced trainer who instructs and motivates everyone to give their best. Our group training sessions are one hour long and usually include a warm-up and stretch, a “Workout of the Day” (WOD) and finish with another stretch. The training sessions are fun, hard and effective. With plenty of variation, a sense of achievement, and a motivated community, it is no wonder why CrossFit is so effective and successful.